Kunal Saha, a young talented versatile Santoor artiste from Eastern India, started taking his music lessons from the renowned Santoor maestro of the Maihar Gharana, Pt. Tarun Bhattacharya, since the tender age of six. With the able guidance of his Guruji, at the age of eight as a child artiste, Kunal started his public stage performances and also participated in the classical programmes at the All India Radio Station regularly. At the age of ten, he got the 1st prize at the All India Quest organized by The Telegraph.With his many performances as a young talent, he also got many commendable accolades from legendary musicians such as the great violin maestro, the late Pt. V.G.Jog. In 2015, Kunal received Young Acheiver's award from Shanghati Society U.K. for his contribution in the field of music. In his school and college days, Kunal bagged many 1st prizes at various music competitions. In 2006, Kunal formed his own band called 'Blendz', which is the only Ethnic Electronic Fusion Band from Eastern India. Kunal and his band Blendz participated in India's Got Talent (Season 1) in 2008, organized by Colors TV Channel, and were among the finalists of the Independence Day Episode, which brought him and his work in the limelight. It was his passion for music that encouraged him to steer his career towards becoming a professional musician and composer, despite having earned his Master's Degree in Business Management. His dedication and love for his instrument and music has earned him the honorable privilege to also perform on the same stage along with his Guruji, Pt. Tarun Bhattacharya. 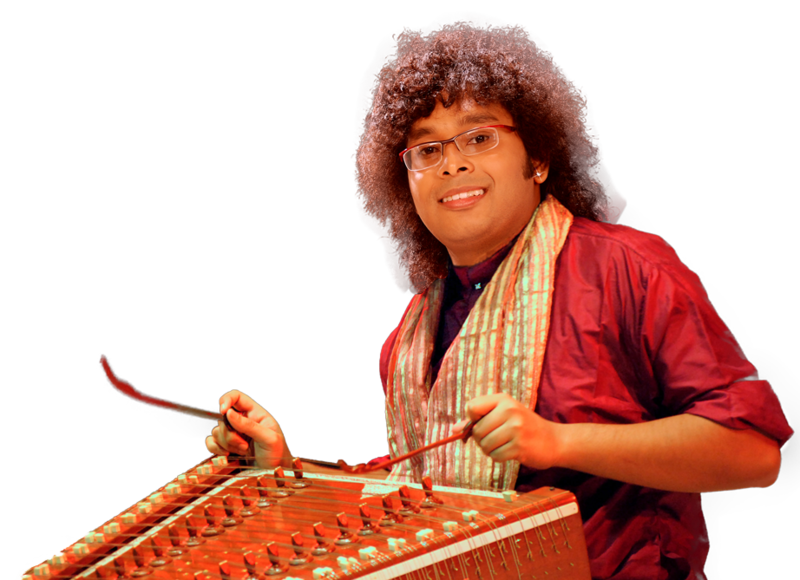 Kunal aspires to attract the youth towards the richness of Indian Classical Music and also propagates that the Santoor as a musical Instrument can fit to any genre of music. Thus, in 2011, Kunal collaborated with renowned Mohiniyattam dancer, Mom Ganguly, to launch their project 'ISHTARA', which created a unique music-dance experience for the audience in Kolkata, followed by many successful shows in India and abroad. Ishtara had marked the initiation of Kunal as a music composer and ever since he has composed delightful and spellbinding musical compositions that are highly appreciated by audiences. Kunal's musical journey had been challenged during Kolkata Fashion Week 2012, for which he had composed exclusive compositions for a live fashion show. The highlight of the show featured Kunal and his band Blendz playing live music while elegant models strutted along the ramp. The perfect coordination between models and live music was excellent and the flavors infused by the music created by Kunal only complimented the fashion talent of the designer. Since the beginning of 2012, Kunal embarked on performing Jugalbandi (Duet) concerts with young talented flautist, Soumyajyoti Ghosh. This Santoor-Flute Duo is known as 'KounterPpoint'. In this very year, the 'KounterPoint' collaborated with the famous Japanese folk band 'Aun and Hide' and performed together in their "One Asia" concert, to mark the completion of 60 years of Indo-Japanese Diplomatic Relations. In 2015, Kunal along with his co-music composer, Pradyut Chatterjea, released their unique ever lasting Music Album named "Devonix". The album features Bhajan Samrat Sri Anup Jalota with his devotional renditions with Electronic Fusion and World Music for the very 1st time. The music has been directed and designed by Kunal Saha and Pradyut Chatterjea, who have presented traditional soulful bhajans in a new and unexplored musical genre. The goal behind composing the featured music in their album in such a different yet fresh approach is to create a confluence of devotion and modern beats that will attract music-lovers of all ages and cultures around the world. Here Sri Anup Jalota is being presented in a new "Avatar". The album has been marketed and promoted by Times Music internationally through digital release and also physically across India. Recently Kunal formed his own Sufi Band "Aafreen" which has already created its own identity among the masses. Kunal has taken his Santoor performances abroad spreading the essence of his touch of Indian Classical and Ethnic Electronic Fusion.He has also performed in many festivals such as the Alva's Virasat, Lok Sanskriti Utsav, All Bengal Music Conference, Live in Lakes, Rotary Youth Festival, Ustad Keramatullah Khan Festival, Sangeet Mela, Kaishiki Arts & Research Centre Monsoon Festival, End Polio Concert by Rotary Club, Raas Purnima Utsav, Outram Club 75 Years Celebrations,Renaissance Festival and many others. His corporate performances were staged for world-renowned companies such as Barclays, Axis Bank, BOC India, Dena Bank, BNP Paribas, Hewlett Packard, Vodafone, TCG Life Sciences Ltd, Kiswok Industries, Ricoh India, Koppern Maco to just to mention a few.